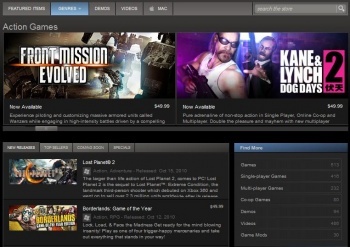 Valve has responded to Michael Pachter's comments that Steam would soon allow users to trade-in digital games. Well-known Wedbush Morgan analyst Michael Pachter was recently quoted as saying that Valve was "supposedly" going to allow trade-ins on digital distribution service Steam. The basic idea sounds odd, and Valve thinks so too, with the company recently replying to the rumor by denying it'll offer these digital trade-ins. Valve's vice president of marketing Doug Lombardi confirmed to Eurogamer that digital trade-ins aren't happening. "Untrue," Lombardi says of the rumor. "We've never had a meeting with Mr. Pachter. I'm not sure what else there is to say." Funnily enough, even Michael Pachter is confused that his comments were picked up on by the media, and he doesn't remember making them. "I saw the headlines yesterday, and honestly don't remember saying that Steam would sponsor trade-ins," Pachter said. "I can only surmise that the reporter asked the question that way ('Steam is rumored to be considering taking digital trade-ins') and asked me what I thought. I have not heard this from anybody, and think it had to be the way the question was phrased." "I am pretty sure it was posed as a hypothetical question, and I was trying to be responsive," Pachter added. His original statement said that Steam would allow for a "trade and exchange," and Valve would take a small fee from each transaction. He's either backpedaling, or his comments were taken out of context somehow. Making Steam a digital user marketplace doesn't make a whole lot of sense for Valve when digital copies can never really be "used," because in my eyes Valve would only lose out on the deal. Maybe I'm missing something, but I can't see what Valve would have to gain from ever allowing digital trade-ins. Apparently, Valve agrees for now.